Have you heard about the recent study linking eggs to heart disease? Of course you have. It’s everywhere. 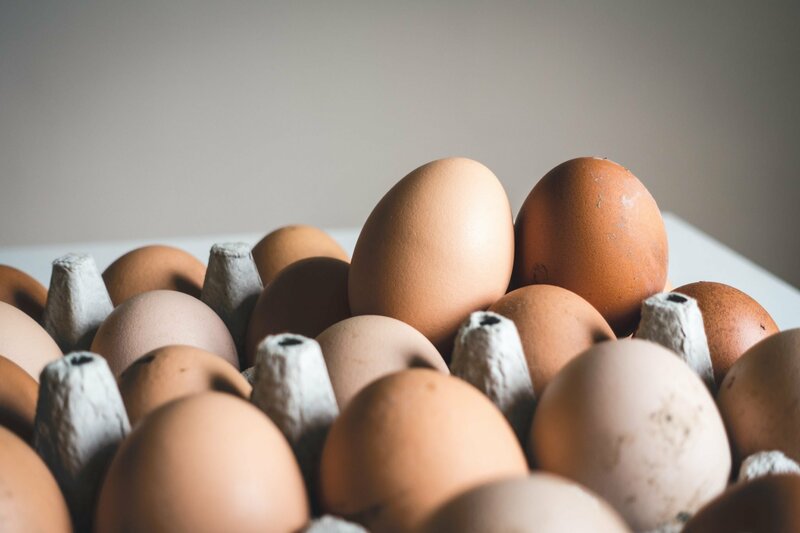 Have you been wondering what it’s all about and why on Earth we keep hearing conflicting recommendations about eggs and cholesterol? Let’s break it down. The study aimed to answer the question: Is consuming dietary cholesterol or eggs associated with incident cardiovascular disease and all-cause mortality? It was conducted using data pooled from 6 prospective cohorts, and followed over 29,000 people for 17.5 years. This is quite a large sample size, with a long follow up time; both strengths of the study. The study relied on self-reported diet data, a potential limitation (self-reported information is notoriously flawed), which was controlled for using standard protocols. In analysis, the authors found a significant association between higher dietary cholesterol or egg consumption and higher risk of cardiovascular disease and death, in a dose dependent manner. That means that the more cholesterol or eggs someone consumed, the greater their risk for heart disease and death. More specifically, every additional 300 mg of cholesterol consumed per day increased participants’ risk for cardiovascular disease by 3.24%, and death by 4.43%. Each additional half an egg per day increased cardiovascular disease risk by 1.11%, and death by 1.93%. What was notable about this particular study, was that the authors controlled for factors like saturated fat intake, fiber intake, sodium, and animal protein intake. That’s important, because diets high in cholesterol are often also high in saturated fat, animal protein, and sodium, and low in fiber, making it difficult to know what exactly contributes to the results. When these factors were controlled for, the association between dietary cholesterol or egg consumption and cardiovascular disease and death remained. So why can’t researchers just make up their minds on whether eggs are good or bad, and whether or not cholesterol affects heart health? As simple as that question seems, the answer is complicated. First, it’s important to know that recommendations for healthy eating rarely change based on a single study, not matter how much publicity it gets. That’s because sometimes inaccurate results occur by chance, or a study may not have been well-designed, so results are flawed. We have to look at what the majority of well-designed studies conclude. Well-designed studies with accurate results must be able to be replicated and get the same results. This study pooled the results of numerous other studies, which helps us to see the “preponderance of the evidence” (what the majority of research concludes). Another challenge in research on dietary patterns is that, as mentioned above, it’s often difficult to separate different lifestyle factors. For instance, people who tend to eat fewer eggs also tend to have healthier dietary patterns overall, get more exercise, smoke less, are more educated, and have more income. All of those are well-documented factors that contribute to better health. This study teased out those factors, and found the association still exists. A third point of controversy may lie in simple misunderstanding of what the results actually mean. This study found an association between dietary cholesterol or egg consumption and cardiovascular disease and death. All that means is that, as a person eats more eggs and cholesterol, their risk for heart disease and death increases. That does not mean one caused the other. To find out if there is a causal relationship, a study would need to include at least two groups of people, one as a control, that would receive a placebo, and one as a treatment group that would receive the “treatment” – in this case eggs or cholesterol. This is called a placebo-controlled study. Ideally, you would want a double-blind placebo-controlled study. That means that neither the researcher nor the participants know who is getting the placebo or the treatment to avoid skewing the results. While this report doesn’t show causation, when it comes to heart disease I believe it’s wise to err on the side of caution – since it is the number one cause of death in Americans. Should you give up eggs? That’s probably not necessary. But I do believe there’s enough research to recommend consuming less than 250-300 mg of cholesterol per day if you already have heart disease. And indeed, the Dietary Guidelines for Americans recommend consuming as little cholesterol as possible. For reference, one egg contains 186 mg cholesterol. Keep in mind that cholesterol isn’t one of those things we need to eat for health, like fat. Our bodies can make all the cholesterol we need, so there’s no lower limit. Reducing saturated fat will have the greatest effect on cholesterol levels for most people. But some people are much more sensitive to dietary cholesterol than others. So if you’ve been having trouble getting your blood cholesterol numbers down, it’s definitely worth a try. Remember that cholesterol comes from all animal foods naturally, so just reducing egg consumption may not do it. In particular, take a look at cheese, full fat dairy, red meat, shellfish, butter, and sour cream. It’s also helpful to bump up consumption of soluble fiber, because it tends to remove cholesterol from our bodies. Foods like dry beans (black beans, Lima beans, etc. ), oatmeal, nuts and seeds (like hazelnuts and sunflower seeds), fruits with edible skins like apples and nectarines, and chia and flax seeds. Would you like some additional help managing or preventing heart disease? I’d love to help you decide if Being Nutritious is right for you in a free clarity call!